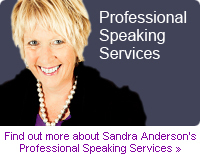 Who are Sandra Anderson Small Business Specialists? We are Small Business Specialists who know how to maximise the value of businesses and we just happen to be Trainers and Coaches. Over the past 17 years we have spent considerable time helping businesses develop and grow. Our specialties are business and strategic planning, financial aspects of business, marketing and market research, personal development, personality profiling, customer service, sales strategies and time management. 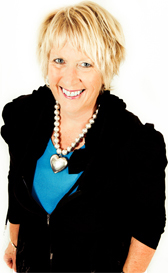 We also run a comprehensive suite of training programmes for start-up and growth businesses. Because we believe that developing our clients' skills are important, the team at Small Business Specialists undertake considerable personal development to ensure we bring to our clients up to date business practices and knowledge. We have adopted adult learning principles which promote an environment where people are able to absorb and retain information through practical applications. Our programs are down to earth and practical with many real world examples and case studies used. We have a portfolio of workshops which our trainers deliver on a regular basis. In addition to these we regularly deliver programmes customised to the specialist needs of individual organisations and sectors within the business community. If it is to do with empowering business we are enthusiastic and eager to help our clients make their business a success.